Welcome to our Boot Store! Bear Shoe has been in business for over a century now. 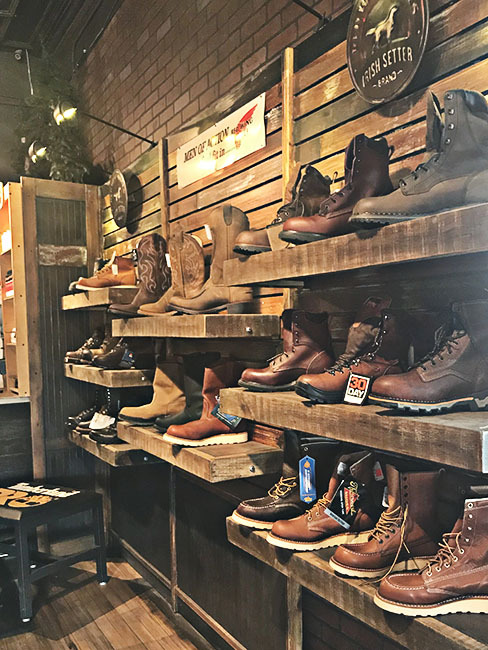 Based out of Superior Wisconsin, Bear Shoe has been serving our customers with the best selection of work boots, safety boots, and work shoes. Oh, and not to mention the finest shoe and boot repair service as well! It's rare these days to see smaller businesses competing with the big box stores and online competition. For almost anything you want to purchase now you can do it online for lower cost than visiting a local reseller. But many of the options out there today lack something that Bear Shoe has. A century of knowledge about the needs of our customers. That's something that you won't find anywhere else. Bear shoe carries shoes and boots for our hard working neighbors. We also offer casual foot wear as well, but we hang our hats on our knowledge of what working men and women need when it comes to footwear. And our staff is here to help you find exactly what you need. So in the case of our "small brick and mortar," store we have something that separates us from the rest! When was the last time you walked into a store that offers repairs? It's been a while, hasn't it? Here at Bear Shoe we understand the value of your favorite foot wear. And we know that everything out there doesn't have to be disposable. And now we know how valuable our repair service is. How do we know? Since re-launching our online presence we've been contacted by people across the country looking for our help. They want to restore their favorite work books, casual wear, and even sandals. We've heard from the East Coast to the West Coast, "Can you repair this for me?" And we've answered yes countless times. So while we're not a huge store in Superior WI, we actually serve people across the U.S. when it comes to the repair work they can't get done anywhere else! We also offer a great number of accessories for the care of your footwear. 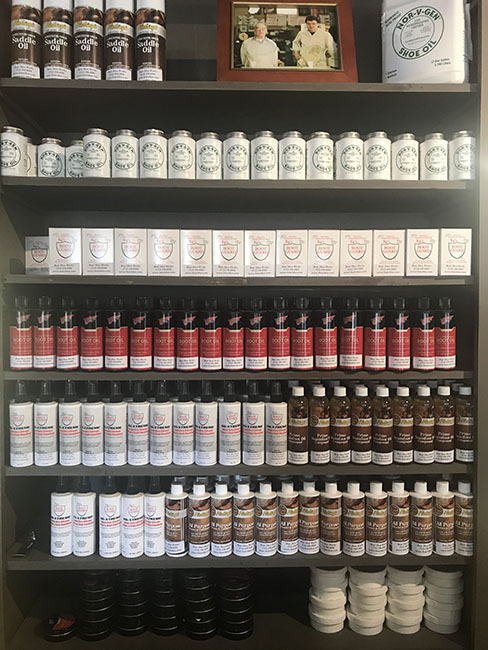 Bear Shoe keeps a healthy stock of care products for leather boots, composite boots, socks, foot beds, and more. And in addition to accessories we also offer customization to get the exact right fit for you. With our knowledgeable staff and repair services, we can help get the exact fit you need in store! 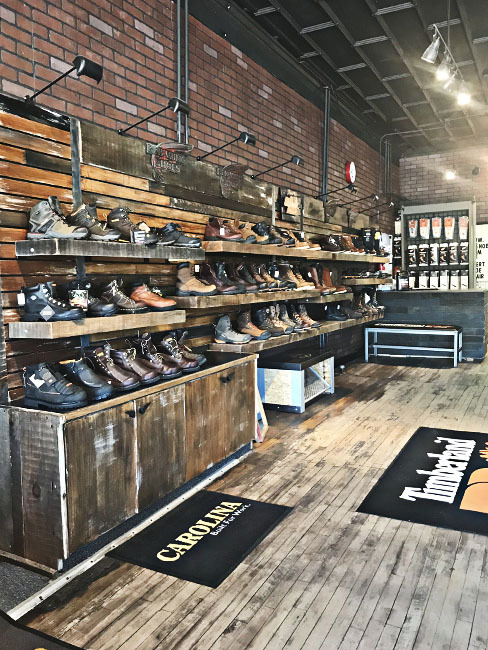 Stop in today to visit with one of our staff members to get exactly what you need for your workplace footwear. Bear Shoe does offer online sales through our sister website Safetyboot HQ. But we need you to understand that our online prices will vary from our in store prices, and we cannot price match footwear you find online in our store, or any other online store. We're sorry we can't do it, but there are a few reasons why we can't. If you're looking to work directly with Bear Shoe at our store front, please remember that we can't price match. Why can't you price match with online stores? There are some business reasons why we don't price match with online prices. Manufacturers have different rules for pricing in a brick and mortar store and online. We receive "Manufacturer Advertised Pricing," from the manufacturers we work with. Those are the prices allowed online. And we have different pricing scales for what we keep in stock in our physical store. So bottom line, we price as our vendors recommend. We're sorry if you find that inconvenient, but we have to work within the rules that we're provided with.